The Annabelle range of Hydrangea arborescens, from Proven Winners®, is now available from The Bransford Webbs Plant Company. These are a wonderful collection of Hydrangea with strong branches and big flowers making them ideal garden plants. Annabelle Hydrangea are ideal for small gardens or large containers, growing to a maximum of 1.5m x 1.2m. They are easy to grow and maintain. The collection offers a wonderful array of colour – ‘Pink Annabelle®’: unique rich pink coloured flowers, ‘Ruby Annabelle®’: beautiful red / pink coloured flowers, ‘Sweet Annabelle®’: big soft pink flowers which turn green and ‘Strong Annabelle®’: pure white flowers. 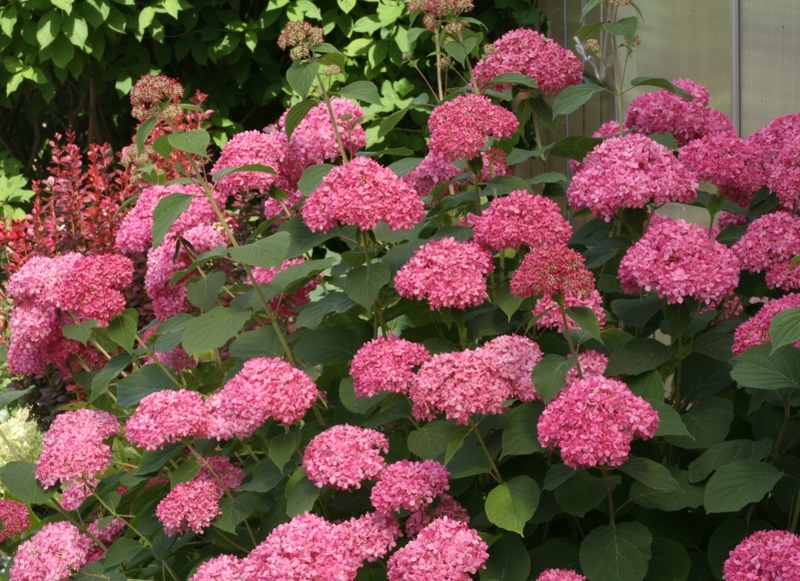 Hydrangea Annabelle are available now from all good garden centres across the UK, RRP: £13.99, Pot size: 3L.